Don't look now, Philadelphia, but the once-sleepy, downtrodden western suburb of Phoenixville has a nightlife. This has been a slow, growing revolution in P'ville over the years. Leaving the new Iron Hill at one end of Bridge Street and driving to the other end left us simply with 'Wow! What a change.' 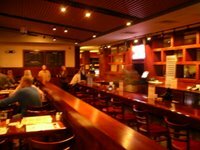 Whether you're looking for retro movie theater, hip coffee house, Spanish, American, or quality crafted beer, Phoenixville has slowly become a destination in the western suburbs of Philly. Iron Hill has taken their tried-and-true formula and applied it to the new and relatively smaller location in Phoenixville. On this last weekend of September, Iron Hill is doing "practice dinners" by invitation only. 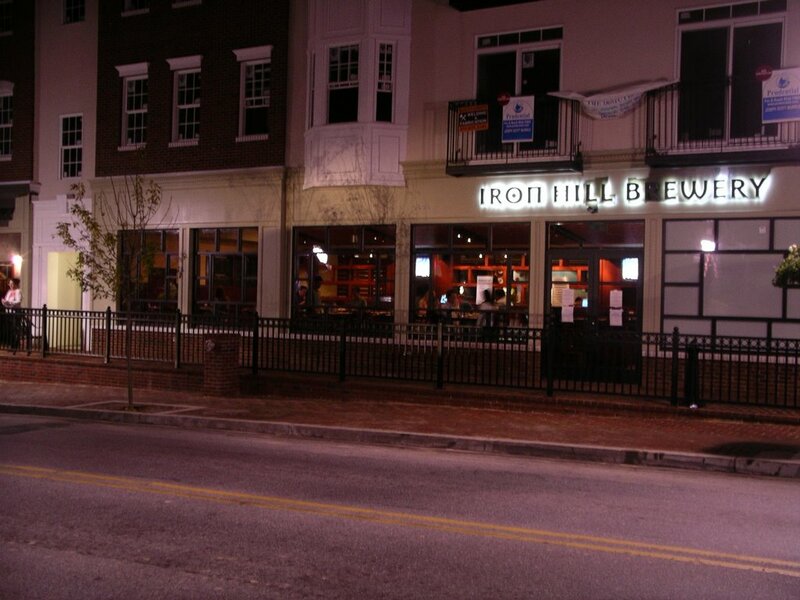 All of the Iron Hill family of usual suspects were brewed on premises and available for consumption. The only upcoming beer outside of the typicals is the Pumpkin Ale, due somewhere around the middle of October. Between the three of us (Scott played third wheel to Patty and your's truly.....aw shucks Scott, we enjoyed your company....really! ), we hit many of the styles on the tap list. Pig Iron Porter, Raspberry Wheat, Oktoberfest, and Saison all met expectations. We all seemed to agree that the Oktoberfest was the most pleasantly surprising and drinkable. It had hints of being lager-ish (noble bite?) but was balanced nicely with a soft malt taste and medium body. Will certainly seek this out again. The food menu will look familiar to Iron Hill regulars. For the practice dinners, the menu was broken up into thirds and distributed amongst the tables. This was to help ensure that the kitchen would see a variety of appetizer and entree orders. 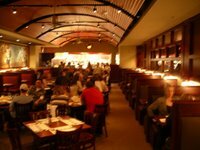 We enjoyed sweet potato fries with dipping sauces, bruschetta, salmon filet, mushroom lasagna, and pizza (my, do they do pizzas well, or what?) Overall, the opening night here in Phoenixville was an enjoyable evening. There was nothing overstated about it. The typcial food menu, beer menu, and a pleasant staff that we've come to expect from Iron Hill. As they go through their full opening to the public, scheduled for this upcoming week, they should be well on their way to successfully anchoring the north end of Bridge Street.